Algeria’s army chief Ahmad Gaed Salah asked on Tuesday for the presidency to be vacated as he deems popular demands to be valid after a month of mass protests against President Abdul Aziz Bouteflika, state media said. Algeria's powerful army chief called for starting the constitutional process to have President Abdelaziz Bouteflika declared unfit for office, possibly paving the way for the ailing president's ouster after 20 years in power. Based on Article 52 of the Algerian constitution, the chairman of parliament’s upper house, Abdul Qader Bin Salah, would serve as caretaker president for at least 45 days. Yet the general's comments were met with little joy in the streets, where protesters have been demanding the overhaul of a system that has safeguarded a leader who hasn't addressed the nation in years. 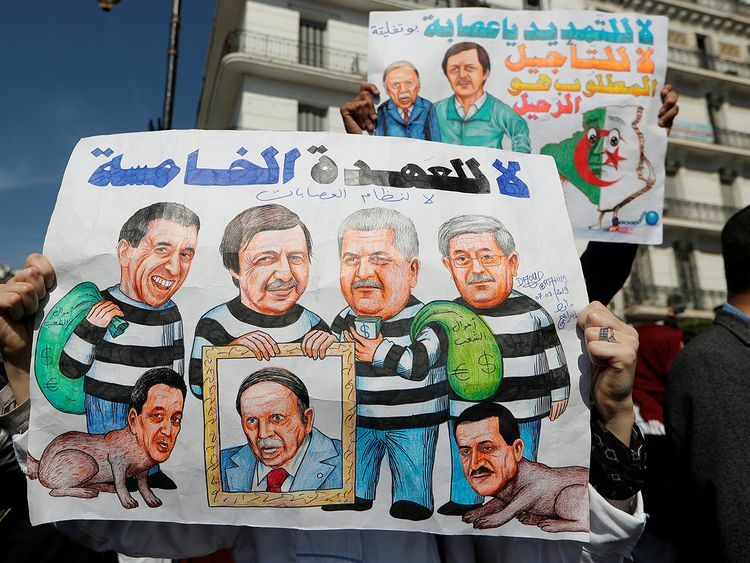 In massive marches each Friday since Feb. 22, demonstrators have demanded that Bouteflika step down, accusing him and his entourage of corruption, hoarding the gas-rich country's wealth and being out of touch with ordinary Algerians, especially struggling youth. The main moderate Islamist party, the Movement for a Peaceful Society, said the army chief's proposal could lead to a solution - but only if the people's demands are answered first. The country had a presidential election scheduled for April 18, but Bouteflika announced in a letter this month that he was withdrawing as a candidate and delaying the vote in response to the protests. First elected in 1999, he has not addressed the nation in years. The stroke required him to use a wheelchair and weakened his voice.